Shannon Wight Photography: MINI SHOOTS! 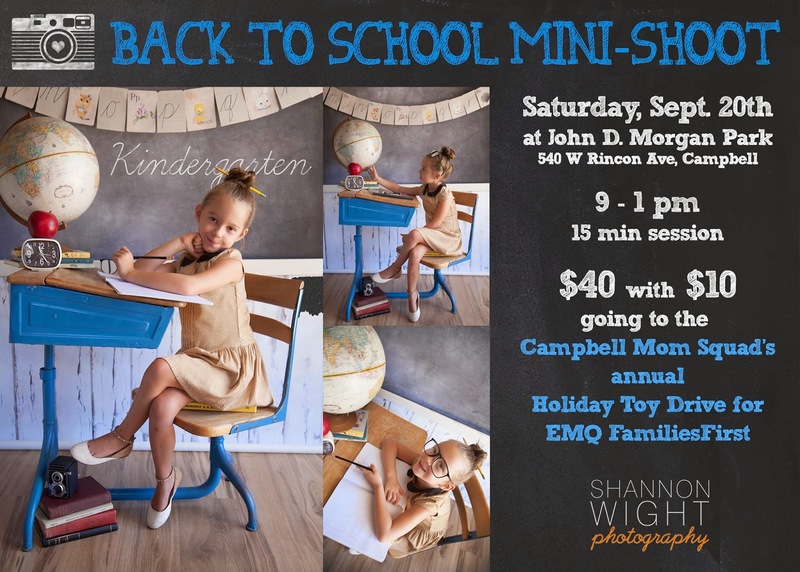 Did you miss out on my back to school mini shoot? John D. Morgan Park in Campbell on Saturday, September 20th from 9am - 1 pm!